George H.W. Bush nominated Barbara Hackman Franklin, now a Bristol resident, (far right) to be the United States Secretary of Commerce in 1991. She was sworn in on February 27, 1992. 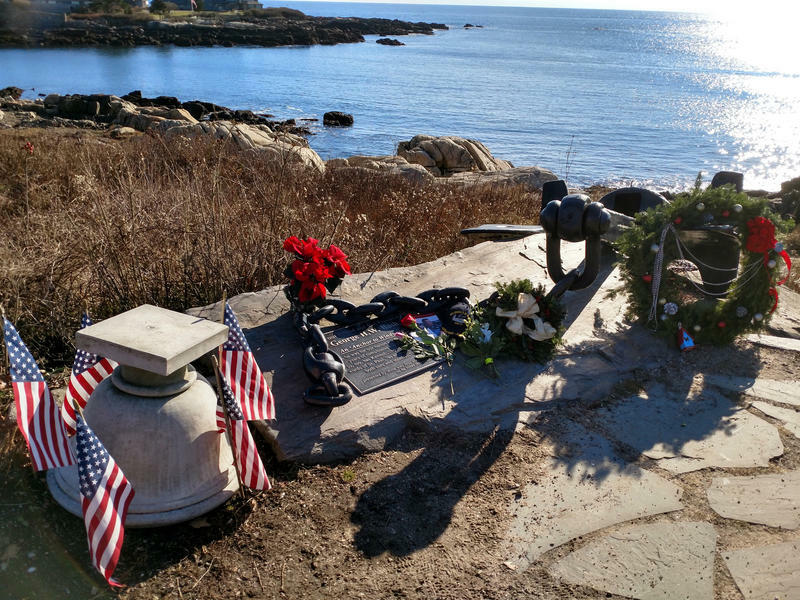 The 41st President of the United States is being remembered by state residents whose lives he touched. Barbara Hackman Franklin was Bush’s Secretary of Commerce from 1992 to 1993. She has a house in Bristol. "We are all are at a loss when we lose qualities of gentlemanliness, civility, graciousness and I think politics loses, our country loses, and the world loses," Franklin said. 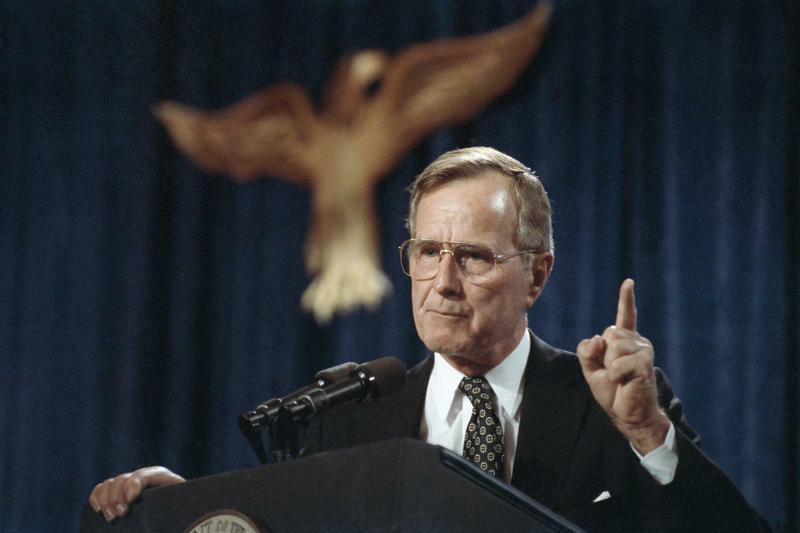 Franklin said that Bush should be remembered for his work in foreign affairs – for facilitating the unification of Germany and expediting the fall of the Soviet Union. Those are major policy items. But, she’ll also treasure the small things – like the time they both spoke from the same podium. Greg Butler was a senior-attorney advisor in the Justice Department during the Bush administration. He said that he once presented a proposal to make it easier to pursue people who try to evade child support. Butler, now an executive vice president and general counsel at Eversource Energy, is most appreciative of Bush’s push to enact the Americans With Disabilities Act, which the president signed into law in 1990. But that’s something that didn’t particularly resonate with Butler at the time. Later in life, his wife Nancy developed ALS, and he said that the ADA was crucial in making her life easier. Nancy Butler died in 2016. She was 57. It should be noted that Greg Butler is on the board of trustees for the Connecticut Public Broadcasting Network, the parent company of Connecticut Public Television and Connecticut Public Radio. Former President George H.W. Bush’s funeral will be held at the National Cathedral in Washington D.C. Barbara Hackman Franklin said she’ll likely attend. Franklin was at the late Barbara Bush’s funeral.